Lori Stryker, from OrganicMakeup.ca, explains that our skin “wraps and protects our bodies.” Part of the integumentary system, skin is comprised of a “living, dynamic tissue system.” It can partially or completely absorb products that are applied to it, and the average woman absorbs 30 pounds of the ingredients used in moisturizers within 60 years. Aluminum – Possibly causes Alzheimer’s disease, aluminum is an ingredient for almost all antiperspirants. It blocks pores so the skin doesn’t release sweat. Artificial colors – Artificial colors are derived from coal tar. An example is Azo dyes, which are “a risk to asthmatics, eczema sufferers, and people sensitive to aspirin.” The dyes can make children hyperactive and it can cause severe headaches, blurred vision, and itchy/watery eyes and nose. Benzoates – Also called benzoates, benzoic acid, sodium benzoate, or parahydroxy benzoate. A preservative in cosmetics and fizzy drinks, benzoates can cause gastric irritation, numbing of the mouth, and aggravates asthma. Certain essential oils – Rosemary is harmful to epileptics, and sage is not recommended for pregnant women. DEA, MEA, TEA – Known as ethanolamine compounds, diethanolamine (DEA), monoethanolamine (MEA), and triethanolamine (TEA) can cause allergic reactions. These ingredients can irritate the eyes and dry out hair and skin. 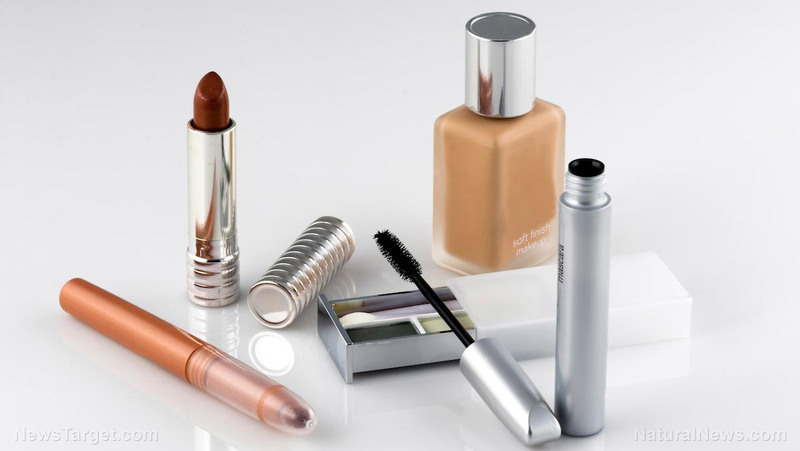 Dibutyl phthalate – Used in cosmetics to assist in the absorption of other ingredients, dibutyl phthalate can cause birth defects in animals and damage the male reproductive system. Formaldehyde – A preservative, formaldehyde can cause skin reactions. Fragrances – Fragrances often contain at least 200 undeclared substances. Fragrances can cause skin irritation and allergies. May also cause dizziness and hyperpigmentation. Genetically Modified Organisms (GMOs) – Some GMOs may include soy and corn, and the effects of GMOs are still undetermined. Isopropyl alcohol – A drying agent derived from petroleum. Keratolytic chemicals – Includes hydroxyl acids and retinoic acid, these are corrosive and used in skin peels. These chemicals can dissolve the outermost layer/stratum corneum of the epidermis and makes skin more sensitive to sun damage. It also accelerates production of dead skin cells and the skin thickens to repair its surface so that vulnerable skin cells underneath are protected from the effects of skin peeling. Methylisothiazolinone – Causes allergic reactions and irritations. Parabens – Derived from petroleum, parabens can trigger skin irritations and may be a xerestrogen (XE). XEs are “chemicals that mimic the effect of estrogen in the body.” Parabens are linked to decreased sperm counts and rising breast cancer rates, and they are used in 99 percent of all cosmetics and in allegedly “natural” products. Parraffin – Also derived from petroleum. Available as wax, mineral oil, or petrolatum. A comedogenic, paraffin blocks pores. Propylene Glycol – Derived from propylene oxide, a petroleum-based product. Large amounts of this chemical may increase acid levels in the body, which can cause metabolic problems. Sodium laureth sulfate and sodium lauryl sulfate – May form carcinogenic nitrogen compounds when combined with specific ingredients. Can irritate the eyes, skin, and lungs. Harmful if swallowed. Tallow – Made from animal fat, tallow is not suitable for vegans and may be a skin irritant. Toluene – Used in various nail products and nail polish removers. Produced when making gasoline and other fuels from crude oil or coal. Evaporates into the air when products with toluene are opened. Toluene can affect the nervous system, and/or cause tiredness, confusion, weakness, nausea, or loss of appetite. Symptoms disappear when exposure is eliminated. Not all consumers know what ingredients are included in various products, making it hard to avoid them. Knowing which natural alternatives are available on the market gives you a choice when it comes to minimizing the harmful ingredients that you are exposed to daily. Natural products use “mostly or completely naturally derived ingredients, and these often indicate that they don’t contain or only has small amounts of artificial chemical additives. Exercise caution before buying “natural” products because they could still contain small amounts of petroleum-based ingredients and fragrances. Try completely natural products, which are often made from plant waxes, plant oils, essential oils from flowers, barks and spices, and colored mineral pigments. You can read more articles about harmful chemicals used in various cosmetic products and how to avoid them at Chemicals.news.